It is always refreshing to read about and learn from companies that are doing trailblazing work, and McDougall Energy is one of these companies. We recently had an opportunity to sit down with Aldo Greco, Vice President Business Development for McDougall Energy, to listen to his thoughts about the role “purpose” plays in their customer experience and how McDougall Energy is successfully leveraging “purpose” to align and activate their brand proposition, corporate strategy, and customer experience. 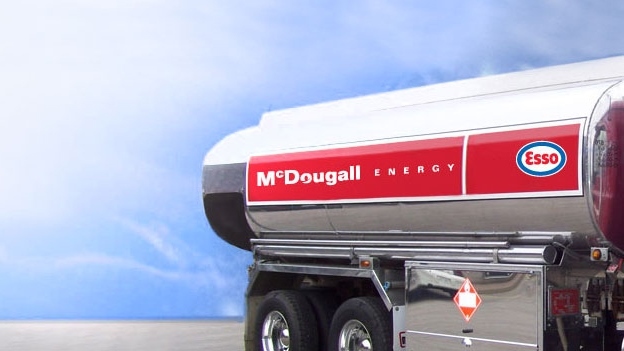 McDougall Energy is an integrated energy company providing a range of energy products and services to home, auto, and business customers. McDougall Energy also has the distinction of being selected as one of Canada’s 50 Best Managed Companies in 2011 and requalified for 2012. Fifth P (5P): There has been much discussion lately about purpose driven organizations. How has your organization embraced purpose? Aldo Greco (AG): We have in fact embedded purpose in our vision statement and tightly woven that with our value proposition to the markets we serve. Purpose is that higher calling we strive for in our business, and for us it is centred on the notion of “peace of mind”. For example, our residential customers don’t want to have to worry about the reliability of supply of their home heating oil or the fact that it is distributed to them safely. So everything we do to deliver heating oil is about doing it in a way that is efficient, safe, and in a quiet manner so our customers’ homes can be comfortable, and ultimately, this brings them peace of mind. You see, when every employee grasps the notion of “peace of mind” as their purpose, then everything they do ensures that our value proposition is delivered both inside and outside our organization. 5P: How are purpose and your “brand value proposition” related? AG: The purpose of “peace of mind” is an aspiration of our brand value proposition and we’ve articulated this through a number of guidelines which distils the tenants of our brand – so it becomes one seamless and integrated definition. Those guidelines include bringing unique solutions that begin with the customer first: advice and education, unparalleled professionalism and excellence, no compromise for health and safety, and respecting the environment. These all guide the behaviours of our employees – in essence our people and the choices they make become closely aligned with the value proposition we promise to our customers. Doing all of these consistently well becomes a proof point for us, driving our purpose of providing peace of mind and making it easy for our customers. 5P: What were the critical success factors for creating and implementing purpose across your organization? Where did the responsibility lie for this? AG: Purpose began with our executive team. First, we went through a series of workshops, which I personally was engaged with. We developed and codified our values and our purpose, then built our value proposition for each market we serve and tied that to our culture, strategies, and processes. Recognizing we needed to move beyond strategies, we stepped back and asked ourselves, “Why do we do what we do? What is the greater value we are providing” and this is when we landed on “peace of mind” as the guiding purpose for our brand. 5P: What is the significance of the “human factor” of customer experience and of purpose? AG: I truly believe people are 90% of what matters with customer experience. Sure we need the products and they need to be moved and purchased, but it is the “way” we deliver the products, the “way” we interact with our customers, and the “way” we resolve issues that makes the difference. And internally this comes down to people who get the work done properly and all come together to bring “peace of mind”. This happens when people ask themselves, “Am I making the right decision?” and looking through the two screens of value prop and value set. Other than health and safety, which trumps everything, every decision is made to make it easy for our customers and internal colleagues – people is 90% of the customer experience.